This Image above is a beautiful shot, isn’t it? An experienced photographer probably has taken this picture with a very expensive DSLR camera. Right? This was a Screenshot that I took from this video. Imagine that. It’s not even a photo; it’s a screenshot of a video. This is how powerful the iPhone’s camera is. It was announced recently that Apple’s iPhone was the largest selling camera in the world. And their advertisements speak for themselves. Apple is promoting its camera’s capabilities and why not with beautiful shots like that? So how good is the camera of the iPhone for shooting videos? It’s really good. And for this write-up, we’ll take you through the process of how to shoot good videos using the iPhone. Why would you need to Record videos on an iPhone? 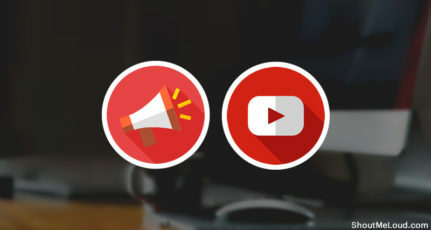 If you are starting off as a Vlogger or want to ride the wave of being a Video (Youtube, Vine, Periscope) sensation then shooting videos is the way to go for you. If you are someone who wants to make a short introductory video for your startup or you make short films. For skilled people who are on a tight budget and cannot really afford expensive equipment could use the iPhone to shoot videos. I’ll start off with the beginner’s tips and then take it a step further with advanced tips. I’ve mentioned the basics of shooting a video in terms of Lighting, Landscape and much more in my earlier post on best tips to record selfie videos. In this, I will focus more on making videos from your iPhone. 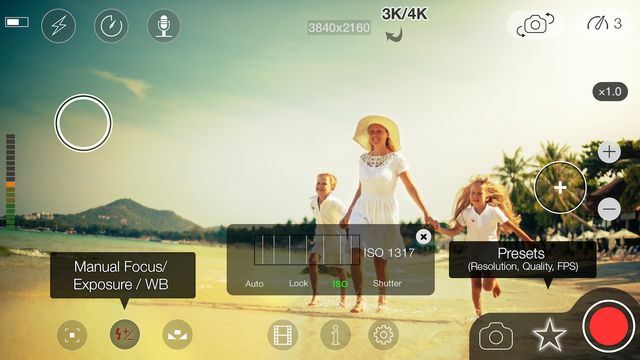 These tips can work on almost all the smartphone cameras so even if you have Samsung Galaxy S9 edge or any other fancy smartphone, read on to learn the smartphone video shooting tips. This is the first step and the most simple of them all. Before you start any shooting work, really give your iPhone lens a good cleaning because your phone tends to be in many places that tend to gather dust. If you are one of those geek kinds who like to open your iPhone, here is a geeky video for cleaning your iPhone lens. Focus is key in great video shots and like all phones, the iPhone tries to re-focus all the time. This means that there is no steady focus and the camera might start focusing on some other object. 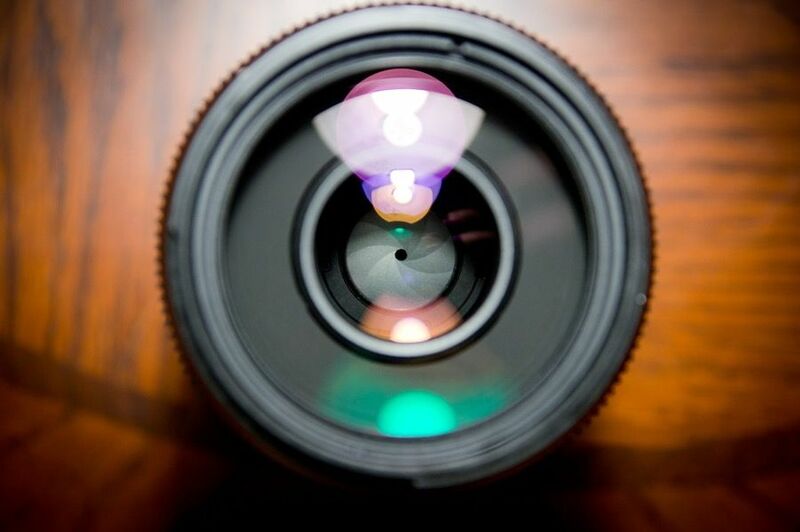 The best way to focus on an object is to use the AE/AF lock which stands for Auto Exposure/Auto Focus. When you are in the Video mode and long-press on the particular object you want to focus on, a box with a yellow outline appears. To shoot even a decent quality video, a tripod is a must. A tripod or a selfie stick gives stability to your iPhone that your hands can never give. A piece of Audio equipment can also be an addition, but make sure you invest in a simple tripod or monopod initially. The front camera on the iPhone is a 720p and the back is a 1080p. 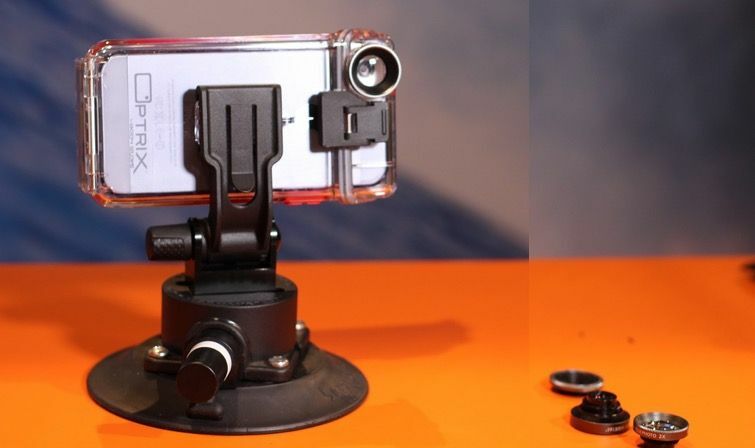 Another option is to connect your iPhone to the tripod and also connect your iPhone through HDMI cable to a large television where with your peripheral vision you can always see if your video is coming our right or not. Another way to use the back camera is by sitting in front of a mirror, where you can see the screen of your phone although this may be a cumbersome process. You need to figure out a way which you find yourself comfortable with. Sometimes it’s a requirement to shoot videos outside. The sun can be too bright a light and there may not be an appropriate shade all the time to counter the glare from the sun. A simple way to counter the abundant sunlight is to create a simple lens hood. 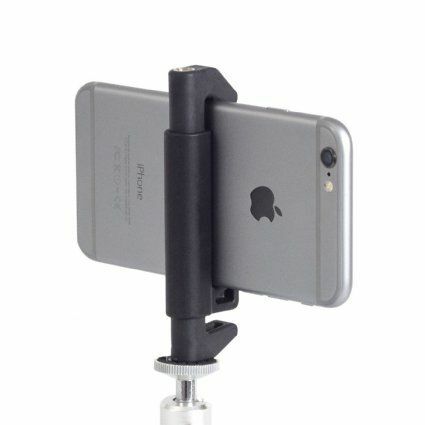 Tripod stands come with an iPhone holder that you can remove separately. Look at the image below for a reference on the tripod stand. Now to create a lens hood, all you have to do is to stick a piece of paper horizontally on top this. This will block the sunlight from hitting the lens directly and in turn glaring the entire picture. An iPhone is ultimately a smartphone. 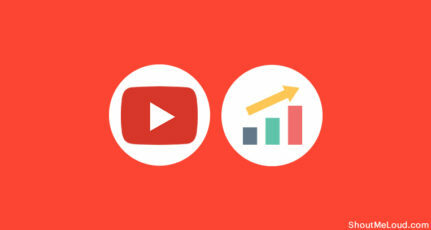 If you want to get professional with your videos, then you’ll need to upgrade. But the best part about using an iPhone is the ancillary products that are created that amplify the experience of an iPhone. 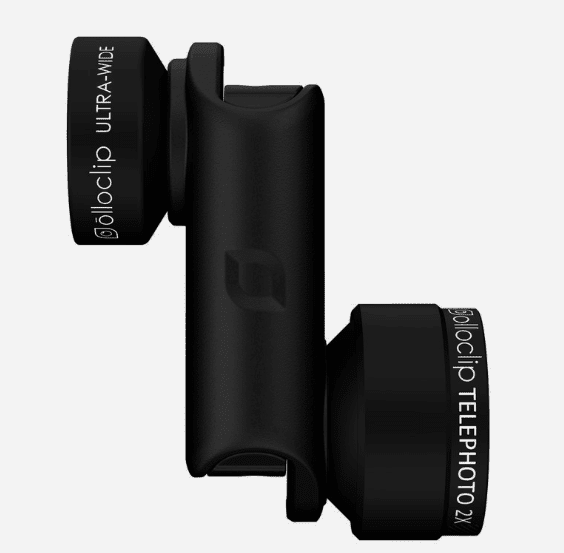 From phone cases to lenses and every iPhone user should take advantage of this. When you are transitioning from an amateur to a slightly better-trained person, it would be overkill to go straight for the best product in the business. And also, if you are able to spend a little bit and get more bang out of your buck with your existing products then it’s advantageous for you. The additional equipment we would suggest is an optical zoom lens for the iPhone that would give wider angle and more zoom-in capabilities. The next one we’ll suggest is a mic that can be used to capture the best audio. For the Mic – I use Rode Lav Mic+ & would recommend the same for you. Shure MV88 is another good alternative. Although there are video editing apps for the iPhone where you can edit your entire video on your phone, you would probably want to edit on the computer. Editing on the phone is a quick-fix and is not meant for long hours of editing work. It probably takes double or triple the time if you want a quality output. The applications for the desktop are pretty robust and gives you enough options to edit a video very well. Earlier I used to use Camtasia for editing videos & now I’m transitioning myself to Final cut pro X. Mac users can download 30 days free trial of FCPX from official Apple website here. If the hardware can be amplified, then so can the software. Apple’s Camera app’s video features are pretty rudimentary for a professional videographer. But, like we mentioned earlier, the Apple ecosystem is filled with App developers who build quality apps that make the iPhone an unbeatable machine. One of these applications is the Movie Pro. You can manually control the Focus and Exposure (Default in the Native App), but also the White Balance, Color Temperature, and Tint. Option to shoot a video for Vine or Instagram etc. 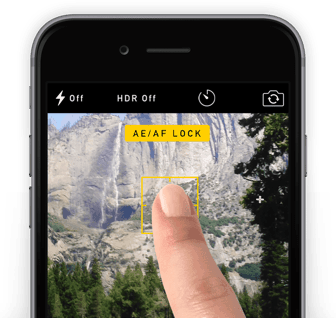 Other iPhone Applications that add value to your Videos. iMovie App – Edit your videos straight from your iPhone for quick videos and on the move post production. Efexio – For filmmakers, Effexio gives a bunch of CGI effects that can be added to your movies. It has effects that can give your movies an extra dimension. There are dinosaurs, dragons, unicorns, zombies, lightning, fire and more. This is great for simple short films that require CGI to do a job. Gravie – It’s a very simple app, that lets you add text on video. So if you are making a music video like Coldplay’s or an Instructional video where you need text, all you need to use is Gravie. 5. Video Crop – Not all portions in a video frame are important and some can even take away the importance of the main subject matter. This one is useful for removing unwanted portions of your video frame. I haven’t tested this one, but it seems useful for this collection of iPhone video editing apps. Note: Also check out Adobe voice app. I would suggest always keep 2-3 video editing apps handy on your Smartphone, as it would be useful when you have to quickly upload a recording. Well, for now, if you follow above given iPhone video shooting tips & use these recommended editing apps, your video would look a lot different & professional than what it is now. What you should understand here is, getting your iPhone ready for pro video shooting is not tough, all you need to use is the right set of tools & a clear mindset. In the upcoming days, I will be sharing more tips on video shooting & editing that a blogger can use in their day to day life for creating memorable videos. For now, do share this post with other iPhone users that you know of. Amazing article Harsh thanks for sharing.I really appreciate your work.Thanks for sharing. Thanks for your comment on this & on all other posts too. Great article harsh, but would love if you would also write for Android user. And coming to camera’s for vlogging wouldn’t action camera’s like gopro(or anyother) be good for that? What’s your thoughts? Thank you for all the details, Harsh. To summarize here is what I experienced. * Shooting people is more accurate and amazing in an iPhone camera than others. * Instead of zooming the video comes perfectly amazing if you do not zoom. * Keeping the exposure in focus fetches great results. * All you need now is a different angle you see things than others. These are all my experience and my bit I wanted to add here. I experienced these in iPhone 6 Plus. May be it is a different experience for others. Thanks again Harsh for sharing this great article on video shooting. I am sure it will help others. Cheers! Which external mic do you use? And how to connect both HDMI cable and mic at the time? I bought Sennheiser MKE 400 one before sometime and recently I started recording my videos in a DSLR than iPhone as got some comments to improve quality of the video. But that one worked well for me just plug n play it was and the same one works for me in the DSLR as well. To your second question I am not sure if we could connect HDMI and MIC at the same time for others but I tried with Apple TV and it works fine. Concept is you need an optical digital device that will take the digital output from the Apple TV’s optical port and you can use it. At times I had issues because of the configuration one had to be muted but if you configure everything properly then no need. Both will work simultaneously without any issue. I will not be biased for iPhone camera quality as recently I also got Samsung S7 Edge & I’m stunned with it’s camera quality & features. You are right about the low light issue & which is a major issue when we have to shoot in the evening or the night. Hopefully, we will see some improvement in coming days. @Harsh, I understand what you mean Harsh, but may be it is the reason I am biased. 😛 I was previously using Nokia Lumia 1020 that had 41MP and was not satisfied so then changed to this and I was amazed. I will have to try the other big ones again and see how it turns out for me. It is been a rumor that with the recent upgrade to 12 MP camera Apple has made some changes but I did not get the hands on them so could not comment. Thanks again for the helpful article and response. Cheers! Nice post, But you have not mentioned anything about which mic to use with iPhone for better quality of sound (probably wireless). I have mentioned the mic in the post. The one I use is Rode Lav+ & it’s pretty awesome & affordable. I don’t know of any wireless mic for iPhone. Though it’s possible with few converters but it’s not cheap I believe! Thank you a lot Harsh Sir. 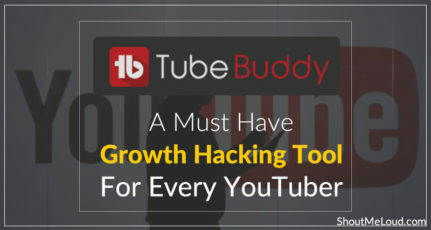 Can you just write a post for which software is best for making youtube videos. Thanks for posting this, I really like this article because there are many things the Android phone does that make my iPhone feel old. I really appreciate your work Harsh. Thank you for all the details. An interesting and mind informative blog! you have make my problem solved by sharing that. Now could be able to record high quality videos with my iphone. Shotting a video can take extreme level of skills, but thanks to latest technology that helps us to shoot video in much easy way. Thank you for sharing amazing list of video apps. I will try and find out which will work best for me. Recently I bought IPhone 5s not yet test video recording for professional use, these are really some cool tips to follow to create better videos with IPhone. 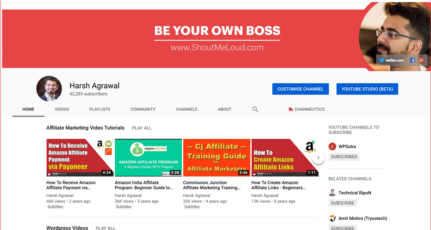 I started YouTube channel for my blog and preparing myself to make some videos with it, thanks for sharing your knowledge about how to shoot videos with iPhone as well some editing tips information, see you soon. Thanks for this post brother. Personally, I have never used iphone, I seem not to have interest in it due to difficulties in getting compatible application for it in the earlier year when my University roommate was using it. I like samsung and am a fan of all their products. Though am impressed with all the iphone features you stated here. I love shooting slowmo videos and the best is timelapse, have you ever recorded a timelapse? If yes do post it, we would love to see it. great article , but i don’t have iPhone , this post of yours encourage to buy iPhone in near future. will try….. thanks. i love apple, it’s really awesome in camera feature. Can you just write a post for which software is best for making youtube videos? Sure, I will add it in coming days. For quick answer, I usually use Camtasia to record computer screen for youtube tutorial videos. I don’t have an iPhone but after this article. I think I’m going to buy a new one this week. I’m a regular follower of yours, and i never get bored surfing through the contents of your website. I just got an ollieclip and it is perfect. Thanks for the recommendation.